WHY IS YOUR SOIL PH SIGNIFICANT? WHAT CAUSES A SOILS PH TO CHANGE? WHAT IF YOUR PH IS TOO HIGH? Soil PH measurement is vital if you expect to have a healthy and green lawn. Though soil PH is generally stable, it tends to move in one direction over time. This direction is almost always negative (lower), which indicates more of an acidic condition, and when this movement exceeds certain guidelines, the consequence will be grass and plants that won’t grow right or maintain themselves. They will appear stunted, easily succumb to fungus and other disease and in extreme cases, die. The need to both monitor and maintain a proper PH is “mission critical” if you expect to keep a healthy looking landscape. With that being said, it is widely observed that the local soil PH around any home is often neglected. Homeowners in particular seem to pay soil PH no heed; they will fuss and fight with their turf from year to year never being able to obtain the look they want. All the fertilizer, fungicide and water can’t save a yard which is out of soil PH balance. So if you want to solve the ever ongoing turf war and finally acquire a lush green environment that won’t succumb to disease and insects, read this article. In th text below, you will learn what a healthy soil PH represents, why it is important to maintain the proper PH for both grass and gardens as well as offer directions on how to adjust and correct soil PH imbalances. Since soil PH is something that is not seen, it is very much misunderstood and often neglected. Generally the last thing one thinks about when it comes to taking care of plants, grass or gardens is the soil PH. This is flat our WRONG! In fact your soil Ph should be the first thing checked and the best time to check it? Now. That’s right. Soil Ph can be adjusted anytime so if you haven’t done the simple test recently, get one of our SOIL PH METERS and find out where your lawn is positioned. Our meter tests soils moisture, light exposure/availability and PH. 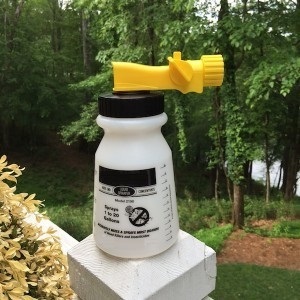 Just slide the switch to the far right for PH testing, slide the probe down into your lawn, flower bed or mulch by inserting the conductor rods 3-5 inches and you’ll get an instant reading. Why is this important? For starters, without the proper soil PH, all effort and energies spent gardening could be in vain. Soil PH is by far the single most important soil variable in the “growing grass and gardens” equation. Only when the Soil PH is right can the other variables become significant. 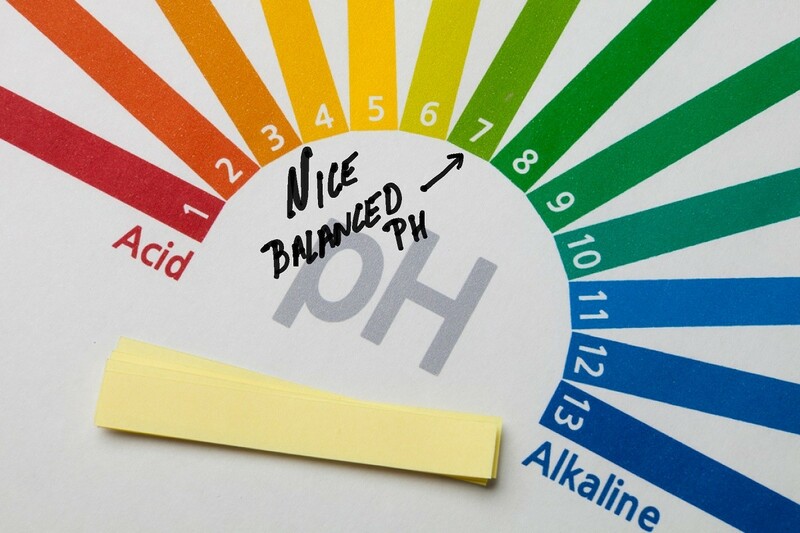 Think of soil PH as the “balance” of the dirt and soil that surrounds your home. When soil PH is in balance, plants and other forms of life have a chance to prosper and live healthy happy lives. Food is economically processed, medications will have a maximum positive impact and growth abounds. When the local soil PH is out of whack, growth will slow. Plants will not be able to utilize nitrogen and other food properly. Ultimately, the very process of photosynthesis will be adversely affected to such a degree that plants will weaken and die. They will give way to fungus, weeds, insects and general disease. As soil PH gets out of balance, local plants will work harder and harder yet produce less and less. Mold, mushrooms, algae and moss will flourish and take over the soil. Clearly an unbalanced soil PH is the single easiest thing to correct yet the average gardener and weekend landscaper pays it no mind. More importantly, it is one of the least costly conditions to treat and maintain and when soil PH is at its right level, plants will be able to function both efficiently and effectively. This “functioning in harmony” with its soil tends to lower maintenance and food costs which provide more efficiency. As stated above, proper soil PH balance is critical if one expects to grow grass, plants, shrubs or flowers. Though some plants will prefer acidic or alkaline balances, the vast majority of turf which is utilized around the world requires a somewhat neutral balance. This balance is considered equal when the measurable soil PH scores a “7.0” on the PH scale. Once you are able to measure your local soil PH with a good ph meter, do so in all areas where you intend to grow something. Such areas include dirt for grass, flowers, shrubs, trees and vegetable gardens. It also includes flower pots and mulch islands. It is quite common for the owner of a potted plant to change the soil after every year or so because the “soil went bad”. In most every case what has really happened is that key ingredients needed for growing the plant are no longer present. Most commonly missing is not fertilizer but having a balanced PH. The mere act of fertilizing tends to lower soil PH and over time – which can be a very short period of time with potted plants – this lowering is both substantial and significant. Since potted plants have such little amount of soil involved, PH can change dramatically within a few months. This same change will happen outside in the yard if one is not careful to monitor these levels. Rain. Rain water is almost always acidic and is one of the larger contributors to a negative soil PH (remember “Acid Rain”? Well, it hasn’t gone away…). Pine Straw. As pine straw breaks down and decomposes naturally into the soil, it releases a lot of acid by products which will leach into the dirt. This leaching will have a profound impact on local soil PH levels and yet pine straw is rarely identified as a major contributor. Mulching. Other mulching products like wood chips, recycled tree parts or common compost ingredients all tend to lower soil PH due to similar chemical releases like that released from pine straw. Thatch. The act of leaving grass clippings on your yard following a mowing lowers soil PH. Local Manufacturing or other businesses. In many regions of the world, particularly the industrialized countries, factories and other processing plants which discharge air and other fumes will many times be releasing acidic particles which find their way back into the local soil with the help of rain. Snow. Since snow is water, it commonly has a low PH like rain. Regions which experience little rain but a lot of snow wonder how they could have a lowered soil PH when in fact snow can be the culprit. Pets. (ONE OF THE BIGGEST CONTRIBUTORS !!!) Allowing dogs, cats and other animals to defecate in your yard – particularly in gardens and sections of grass you are trying to cultivate – can have a big impact. Their excrement is very acidic and should not be released in such areas. Since the norm is to overlook such behavior because its hard to imagine such little releases could amount to anything, within a couple of years time the local soil PH will be adversely affected and require adjustment. Chemical treatments. Fertilizer is probably the biggest factor when it comes to chemicals that affect the local soil PH. However, many insecticides – like insect granules or fungicides – will also tend to lower this balance. Septic tanks. Any property which hosts a septic waste system is more likely to have soil PH trouble. Whether its the fumes or natural degradation of the waste, any property with this type of disposal system is more prone to soil PH fluctuations. Watering. Though most people think of water as having a high PH, it commonly is found to have a low PH and the use of either on a regular basis will have an impact on local balances. Be sure to test all water supplies you use on gardens and grass so you know in advance what kind of impact such supplies will have. All of the variables listed above are meant to alert any property owner to the main contributors of soil PH imbalances. Any of the listed factors can singlehandedly impact local soil PH to such a degree that just growing grass could become difficult. More important, since all of them tend to work on soil PH in the same way, the combination of two or three of these factors together can be devastating. At this point it should be clear to anyone reading this article that soil PH is important and should be measured and maintained to keep it properly balanced. Now that soil PH significance is understood, lets look at the ways one can manipulate and maintain the soil PH level. As stated above, soil PH tends to lower itself over time. As the author has also stated, anyone that does even the most minimal amount of yard work needs to be actively monitoring soil PH. In other words, anyone that either waters, fertilizes or maintains any plants at any time of the year inside or outside of their home or other property is someone that clearly qualifies as needing a soil PH Measuring Device. Assuming that you now have such a device and have done some measuring, its time to start interpreting the data accumulated and deciding on a course of action. First, the current level of soil PH will vary for any given total property area. It is quite common for an area at the top of an incline to have a PH much different from an area of soil at the bottom of the incline just 50 feet away. For this reason it is suggested that sample tests be done for every 250-500 sq/ft. More could be needed – especially if you have small areas which are independent of other areas – and then once measured, all the data neatly recorded for future comparisons. Though yards vary in size, 5000-10000 sq/ft of turf is a very average amount of soil for a lot of homes so expect to be probing 10-20 times for the average 5,000 sq/ft yard. Sound tough? Its not. Testing is easy and for a yard this large, it can be done in less than 5 minutes. The first important step to managing soil pH is to know the size of your log. Most people refer to their lawn as “1/2 acre” or “1/4 acre” which is usually the size of the entire property. In other words, this is the total “lot” size and includes the house, garage, decks, driveways, walk ways and other surfaces which are not turf. If you intend on keeping your soil PH within a certain range, an exact measurement of the turf you want to control is critical and needed. Without this exact number, it is not practical to apply anything and that includes insecticide, herbicide, fungicide, fertilizer, etc. And iff you intend on keeping the soil PH well maintained, you will need to get out a tape measure and calculate the square footage of the turf around your property. In most cases, this will be done in sections. It is not uncommon for the average home to have 5-10 “sections” of turf. The best way to get a total is to measure each section, record the square footage for each one and keep a running total. Remember, square footage is “length x width”. For example, a rectangular front yard which measures 75 feet wide by 60 feet long has a total area of 4500 sq/ft. Get such measurements for all “sections” of the property and record them in great detail. This information will become invaluable at some later time when you may have to make some subtle adjustments to certain areas. And don’t rely on “walking off” the measurement. Rarely can one walk around their yard and get an accurate measurement. Be sure to take the time to use a long tape measure or better yet, a MEASURING WHEEL. This tool is easy to use and will save time and effort in the long run. More important, the measurements it takes are accurate. This is critical for proper turf maintenance. The most common adjustment made to lawns around the United States attempts to raise the value. And the most common product applied for the job is a granular or pelletized lime. This product will measure high on the PH scale and will effectively cancel out with the high acid currently in your soil. This process will “adjust” the current soil PH level and hopefully bring it back up to a more balanced value. There are some guidelines to follow as to how much lime should be applied based on how much of an adjustment is needed. This is not an exact science due to uncertainty regarding just how much lime will actually impact the local soil and not run off. It is further influenced by how deep the low soil PH exists in the soil combined with the uncertainty of what it is that is making the soil PH drop in the first place. To calculate how much you’ll need, read the label. In general, most pelletized lime labels will call for 40 lbs to be spread for every 1000 sq/ft that needs a +.5 PH adjustment. Most will also advise not to exceed 40 lbs per application to allow the material to settle in and mix with the soil. Make sure you either water or get a good few rain falls over the next month to help the lime breakdown and mix with the soil. Also, be sure to apply it to all areas of the yard including pine straw beds, mulch areas, flower beds and turf areas of grass. For faster results, use our LIQUID LIME to make the change. This highly alkaline liquid can be sprayed out with one of our HOSE END SPRAYERS and will influence the soil PH within days. Again, use it on all areas of the yard which will ensure no area is missed that has a low soil PH. Water it in or time applications just before a rain to get a good “soak in” once applied. Liquid Lime is handy to use during the growing season when you find your soil PH is out of whack and you need to make a change rapidly. Test your turf 7 days after making the treatment and then again after 14 days to make sure the adjustment remained stable. Plan on using 1 gallon per 17,500 sq/ft of turf that needs to be adjusted .5-1.0 up. So if you have 10,000 sq/ft you want to raise at least .5, apply 1/2 gallon of liquid lime to start and take measurements 7 and then 14 days after treating to see if the treatment has completed the job. To make the application, our 20 GALLON HOSE END SPRAYER is well suited for the job. It uses a 32 oz holding tank and if you fill the tank up with 32 oz of Liquid Lime, you would then spray the entire tank over 5,000 sq/ft of turf, flower beds, etc. This sprayer hooks to your garden hose and will pump out 20 gallons of water to empty the 32 oz of liquid lime. For those of you that live in areas where the soil PH can get too high, you’ll need to bring it back down using SULFUR GRANULES. We have a 90% granule that’s applied at the rate of 50 lbs per 1/2 acre. Monitor results every 2 weeks to see the impact of the treatment and after 4 weeks if it hasn’t dropped enough, treat again. Expect to use 25 lbs for every 10,000 sq/ft for every .5-1 you need to come down on the pH scale. Now if you’re trying to lower the PH of turf or ground cover where you’ve noticed plants are turning “yellow”, COPPERAS might be another option that will both heal your plants and lower the pH too. Shrubs and trees will typically look “faded” due to an iron deficiency caused by having a high PH. Use Copperas to add back iron which in turn will get your plants or grass looking healthy again. Copperas will also acidify your soil which in turn will lower the PH. This is important for turf soil so it can remain in balance and in turn, be able to feed grass and plants properly. Plan on using 2 lbs per 1,000 sq/ft per .5-1 drop in pH you’d like to achieve. Measure your pH two weeks after the first application and then again two weeks to later to ensure the reduction is stable. Our 15 lb bag will cover up to 7,500 sq/ft of turt. Wouldn’t it be nice is there was a way of telling your lawn or plants were sickly before they show all the signs that are hard to miss? Well there is. STRESS DETECTION GLASSES can be a real “eye opener” by helping to reveal grass, trees or shrubs which are beginning to succumb to the impact of disease, fungus, low ph or insects. Basically they can reveal the way your turf really feels. By filtering out the green color of most plants, Stress Detection Glasses will show healthy and happy grass plants as black or grey. When stressed, the glasses will cause your landscaping to look brown, yellow or pink. Early detection will enable you to take defensive action before it’s too late. Once you’ve accumulated a year of soil PH history for your garden and turf, adjustments will be easy. Most property owners will learn how much lime they need to apply, when to make the applications and where certain “hot spots” exist which need a little extra material. Most important, such applications will enable the applicator to keep their soil balanced and healthy for the upcoming growing season. This leads to healthier and happy plants and along the way will save you time, money and aggravation. PH is clearly the foundation on which all plant life exists and if you don’t start with a soil PH that’s properly balanced, trying to grow plants, flowers or grass can be near to impossible. 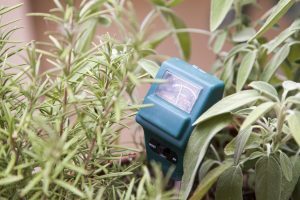 Be sure to take an active stance regarding local soil PH readings in any soil you use for growing plant life and you will both enjoy better success and less frustration with any form of gardening. I have 1.06 acre of land . My ph is 8.7 and I need to lower it to at least 6.5 . How much sulfur do I need to put down and do you recommend putting it all down in 1 session or splitting it in to two sessions? Also I have a Scott’s speedy green 3000 spreader and I was wondering how do I know what would be the correct setting to broadcast the sulfur ? Thanks for your time and your help. I look forward to your reply . Thank you Johnny. Based on the information you’ve supplied, I’d say you will need 5-10 bags. On average, it will take 1 bag to reduce the PH 1/4 to 1/2 point per acre. So to drop from 8.7 to 6.5, you’re looking to move it 2 points. At 1/2 point per bag, 4 bags will probably get you there. But it could take twice as much if your soil well balanced and real stable. You see, there are certain components of any soil which can have a net effect on how quickly or slowly it will be to change the PH and though these can be measured, the test requires precise instruments which are costly and not practical to use due to this high cost. So the general rule is to try first at the lesser rate, wait 1-2 months, take some more readings and adjust further if needed. Remember, adjustments will take time and it’s not an exact science so having to monitor the movement is normal and during this time, other factors could change as well (like rain fall and air quality) which in the end, have an impact one way or another. So think of this as a process that will take time and during this time, the ingredients will have to be added as needed without the knowledge ahead of time of just how much you’ll need to achieve the goal. So for now, I’d get at least 5 bags and see if this does the trick. I’d apply 2.5 to start, wait a month, take more tests and go from there. If this does the trick, the left over sulfur will store well and can be kept for years. But if I was to guess, I’d say you’ll most likely be using it all and could possibly need as many as 10 bags by the time the task is complete. There are just too many variables so getting an exact count is just not possible right now. But if I was to guess, I’d say in the 5-10 range for sure. As for the settings on your granule spreader; that’s another tough one. The way I always gauge any granule is based on what I know my spreader will do with other granules I use. So when you receive your product, compare it “size” wise to others you’ve applied in the yard meaning if you’ve used something equal in size that was spread over 1/2 acre, then you would want to use the same setting or just a touch more “open” for the sulfur. This would enable you to get at least 2 bags applied per acre. Now if you have no clue on where to start setting wise, then go with a really low setting at first, target 1/4 of the land to you want to treat and see how much of the bag you’ll apply to this area. Now once you know the way this setting will apply the granules, adjust from there until it’s putting it out at a rate that lets you get good coverage without having to work too hard. Again, this is not an exact science and if you start with a low setting at first, you can always increase it as needed. How many pounds are you assuming in a bag of sulfur? We carry it in 50 lb bags and you’ll need around 2-3 lbs per 1,000 sq/ft to start. That means our bag will cover around 1/2 acre.